Announcement: We currently do not have any regional distributor. Every Realistic Sparring Weapon bears the logo below as identification. There's a copycat in mainland using our brand name to sell their inferior products. These are the screen captures of the confrontation of the copycat viewable if you click the picture below. 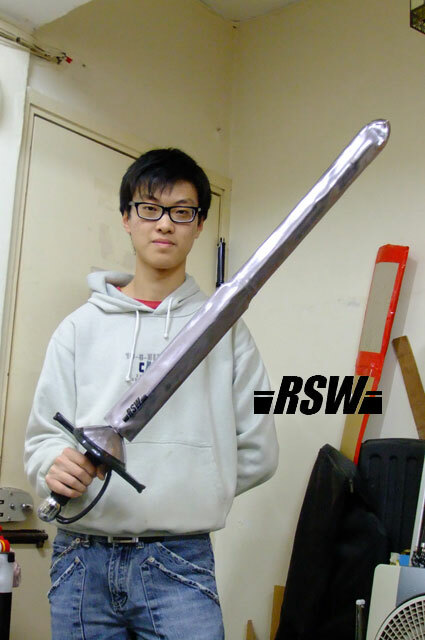 There were people who raised concern that the RSW would have more air resistance than a sharp sword. Thus I conducted two tests to pit the sharp DS and No Remorse against their RSW version and compared the cutting speed. 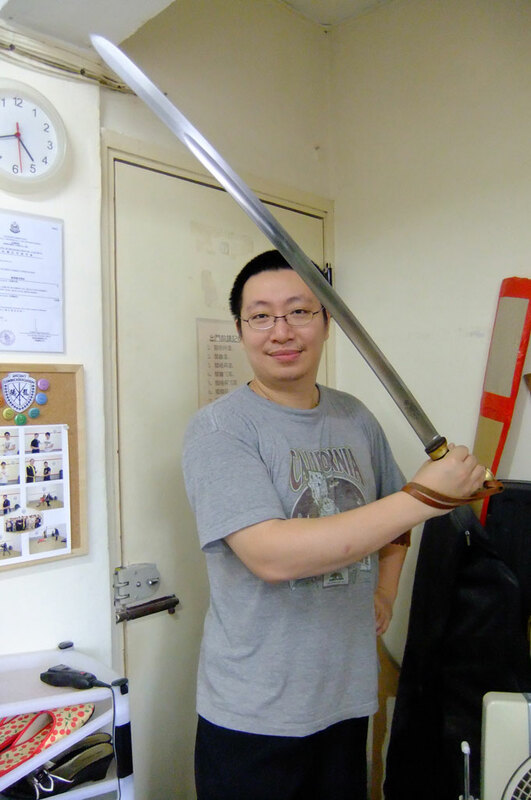 Lancelot Chan was interviewed by Historical Chinese Combat Arts in Podcast. 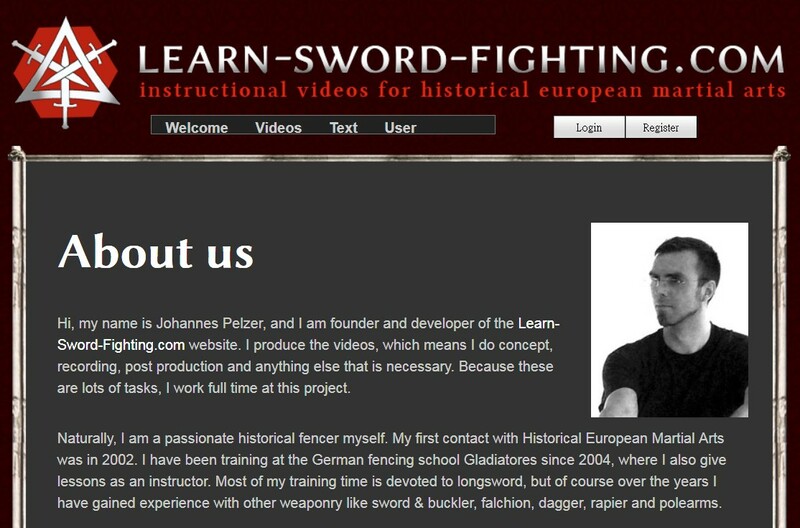 The interview footage of Lancelot Chan about German longsword by MIHK has been aired. 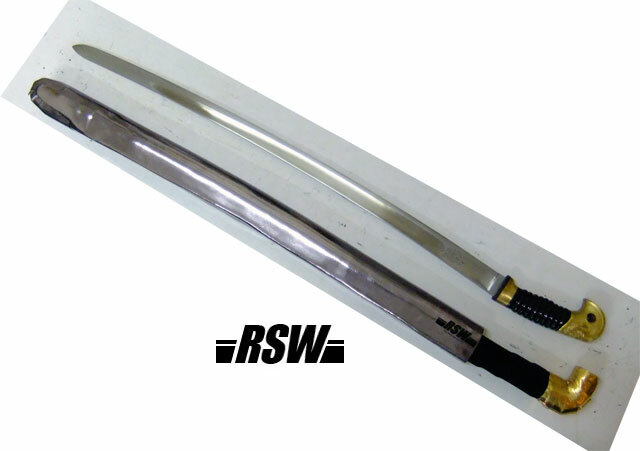 There were people who think that using RSW to spar cannot do the same line control as the steel sword, since any impact feels different. I did a test side by side, with RSW katana and RSW longsword, as well as a hanwei katana and a windlass 15th century longsword. I used the katana tip to hit the other sword, with single hand, since my other hand was holding the cam. On the side to edge impact, it shows that it was exactly behaving the same. On the edge to edge impact, I screwed up the steel part since the windlass 15th century longsword has side rings. The katana's strikes get distracted by the side rings. Still one can see that the result is pretty close despite of that. 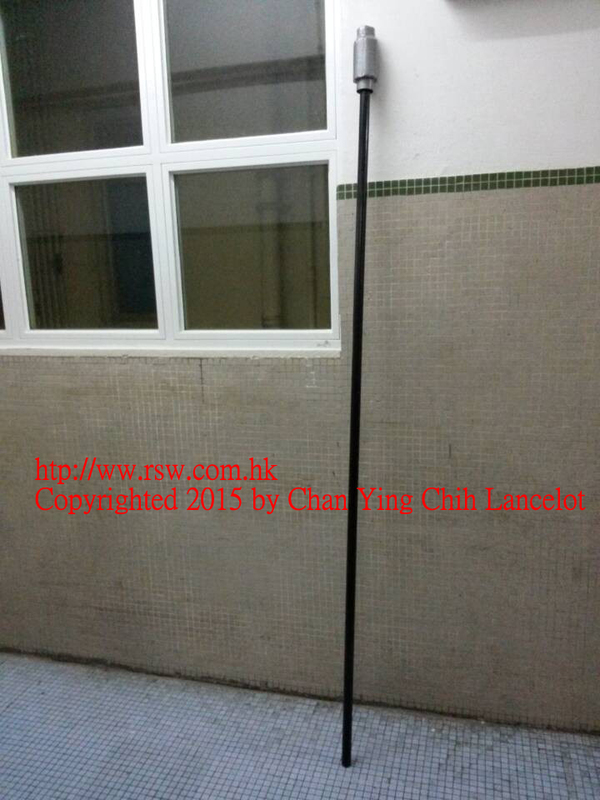 Thus using RSW to practice swordsmanship not only allow ones to Fa Ging in the strike but can simulate very well how a steel sword would do in safety. A newly finished custom made Trident. 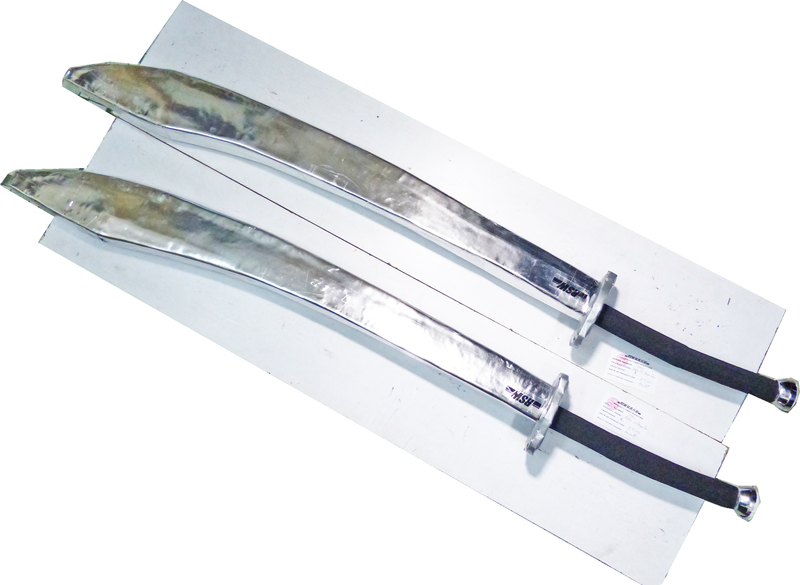 The two custom made Master grade 6.0 Bagua Dao we have just finished. 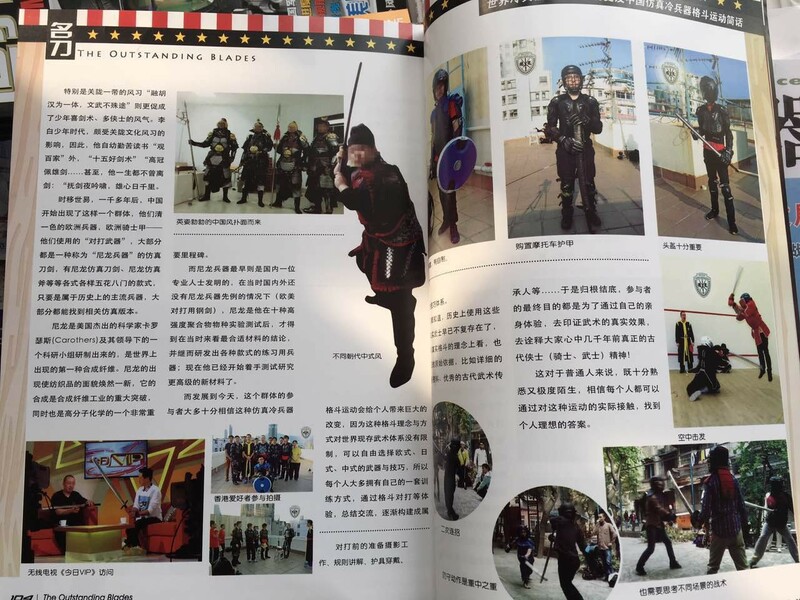 The Outstanding Blades magazine stole our photos to promote nylon weapons sparring. We would like to announce that all the sparring weapons presented in our photos were Realistic Sparring Weapons. 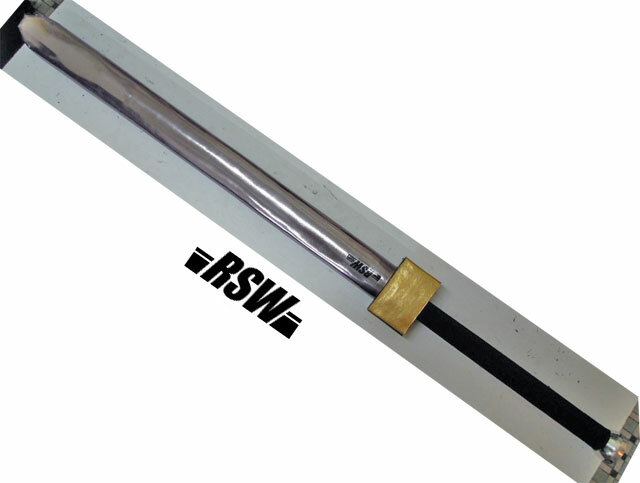 RSW Basic grade was designed for the practitioners who have yet to master swordsmanship. It is more durable and safe than the master grade with higher flexibility. We were interviewed by Commercial Radio 903 Holytricky. 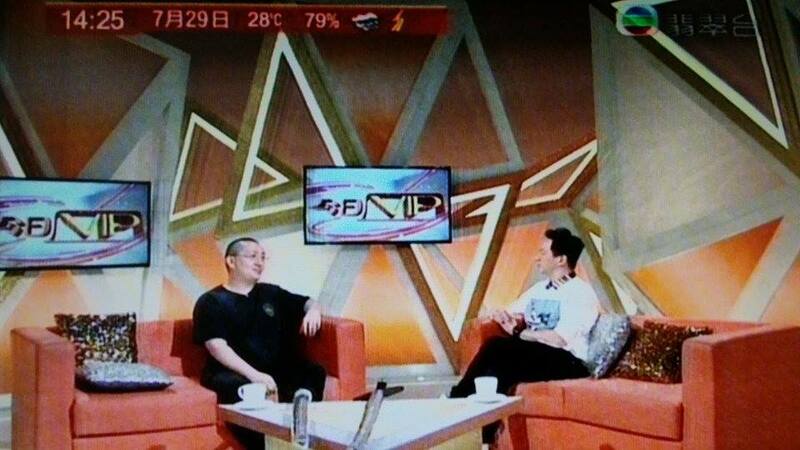 For those who can understand Cantonese. you may listen to the interview here. 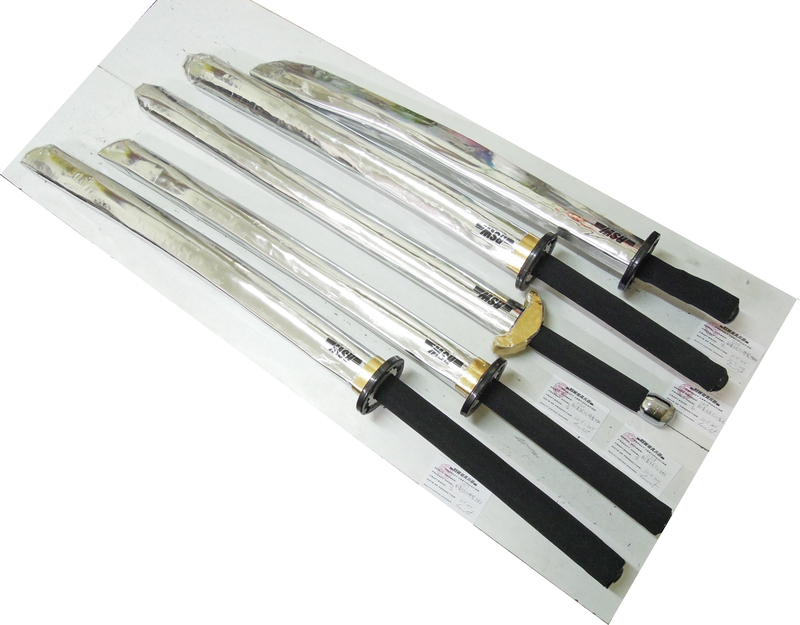 Master Grade 5.0 Custom made long hilt Katana, standard Katana, custom made Kogarasumaru, custom made Chinese Jian, custom made Chinese Dao. Master grade 5.0 has specially reinforced fabric surface to prevent puncture. Customers may request for this specification for their orders. 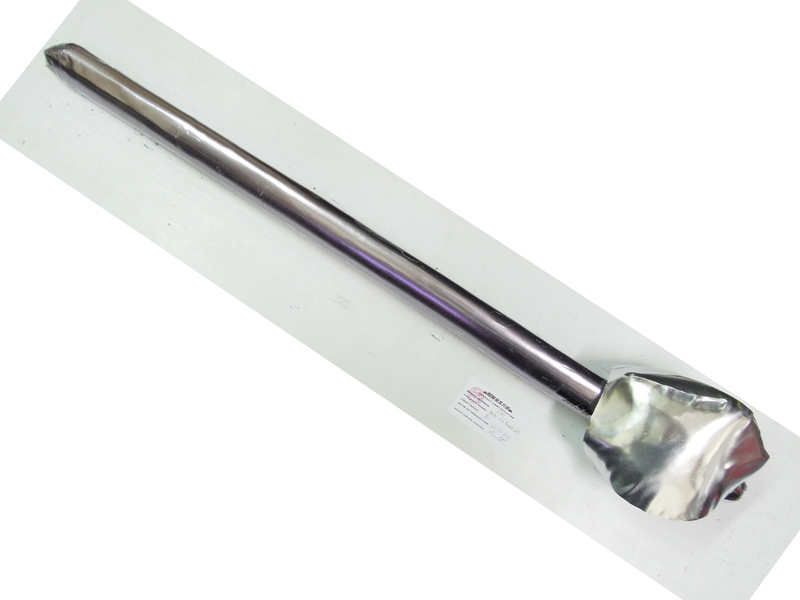 We have developed a new product "Simple Spear", which features a flexible shaft and a spearhead that has airbag to dampen thrusting impact. Detachable spearhead is available also. 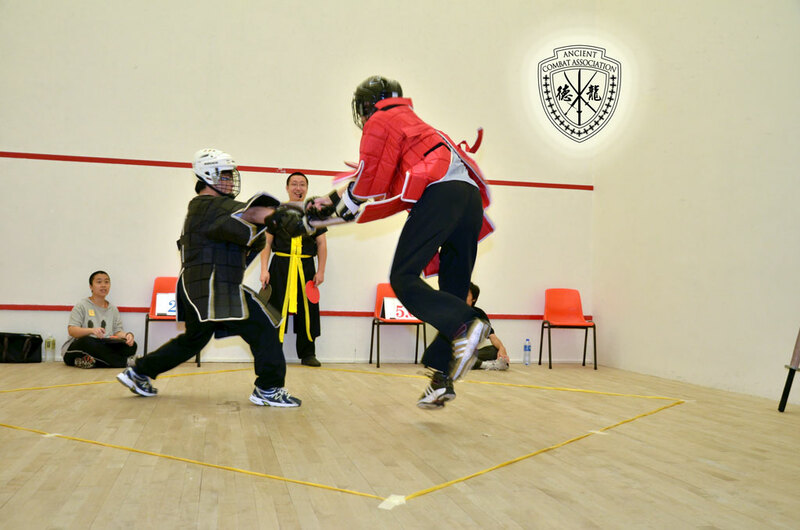 Shown below is a video we practiced freestyle fencing with the simple spear. 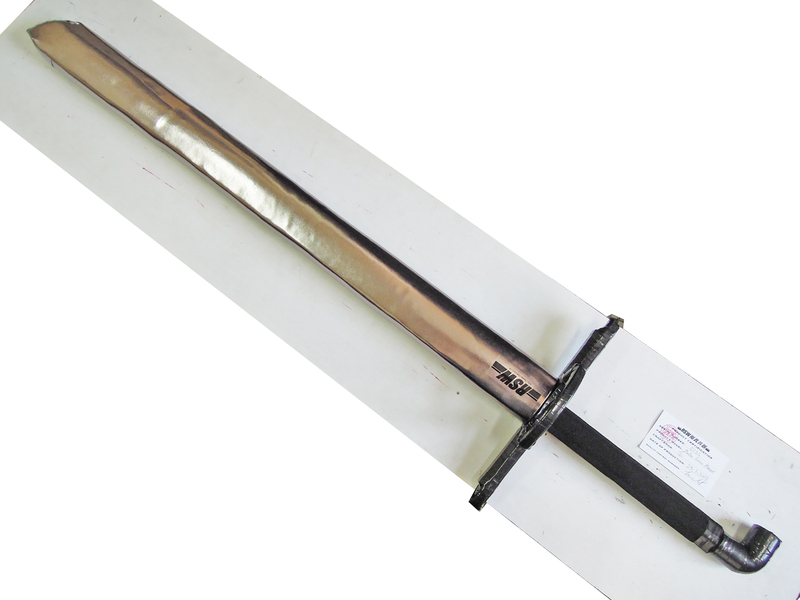 Shown below was the first Master grade 4.0 RSW, a custom made Chinese 2 handed longsword. Master grade 4.0 employs a high impact and cold weather resisting material as the core, improving the durability from impacts for two times or above, especially under cold temperature. As the new core material's cost is higher, and the costs of other materials have increased, we will adjust our price after lunar new year. However, in order to reward the support from our previous customers, they will be entertained with the current price for the whole 2015. 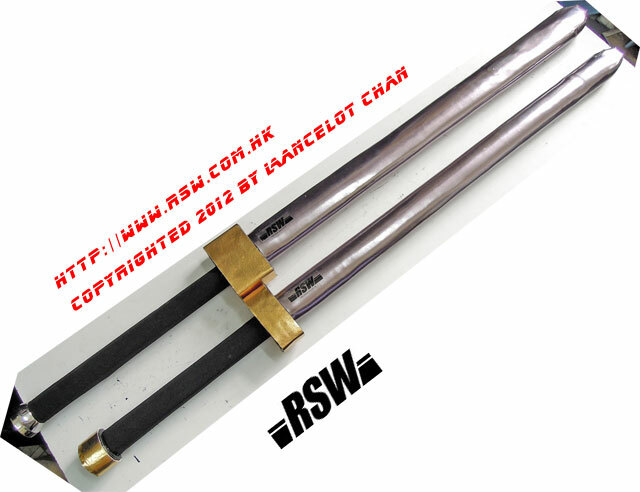 Shown below was the custom RSW that modeled after Hanwei Scottish basket hilt sword. Added custom made master grade 2.0 Longship Armoury Silvia, Cold Steel Dadao, Longship Armoury Verrimus, Cold Steel Grosse Messer to the photo album. Added a custom made master grade 2.0 Polish saber to the photo album. 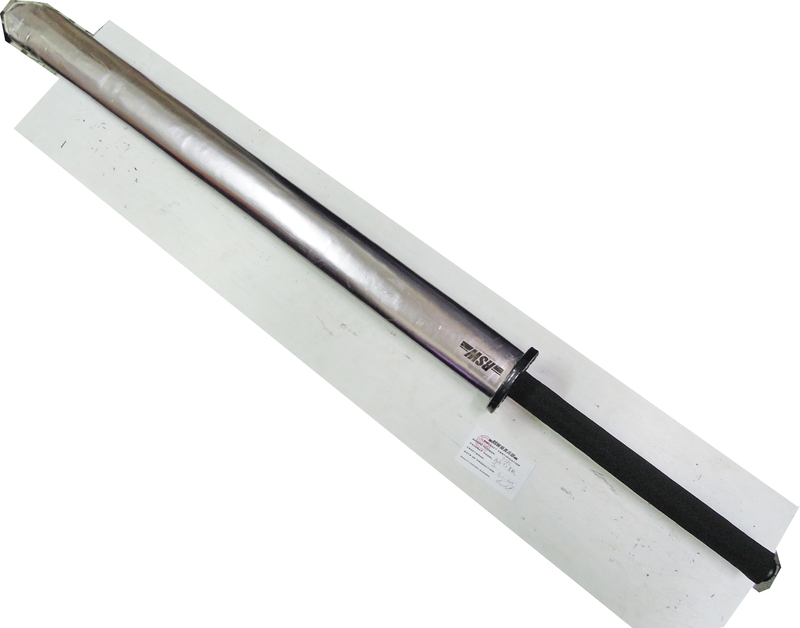 Added a custom made master grade 2.0 thin blade Gladius to the photo album. 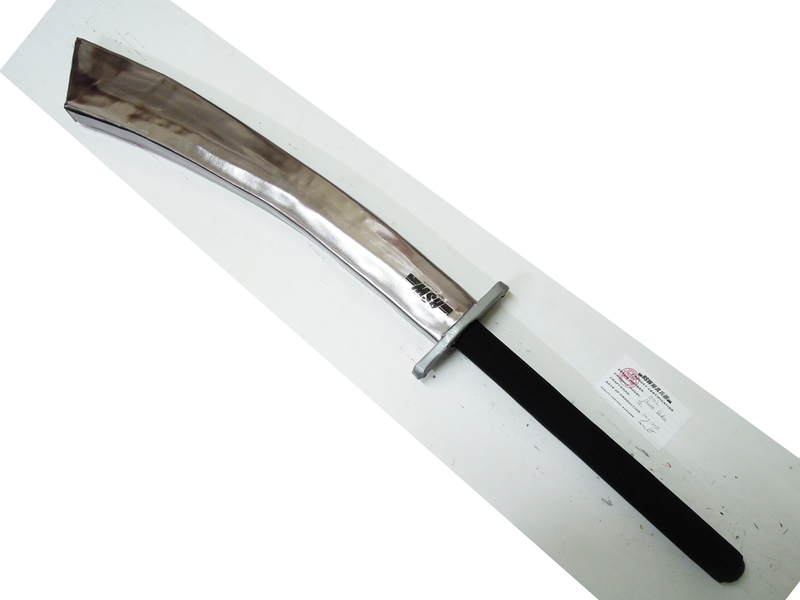 Master grade 2.0 Custom made Bagua Jian, with the balance tuned closer to the guard. 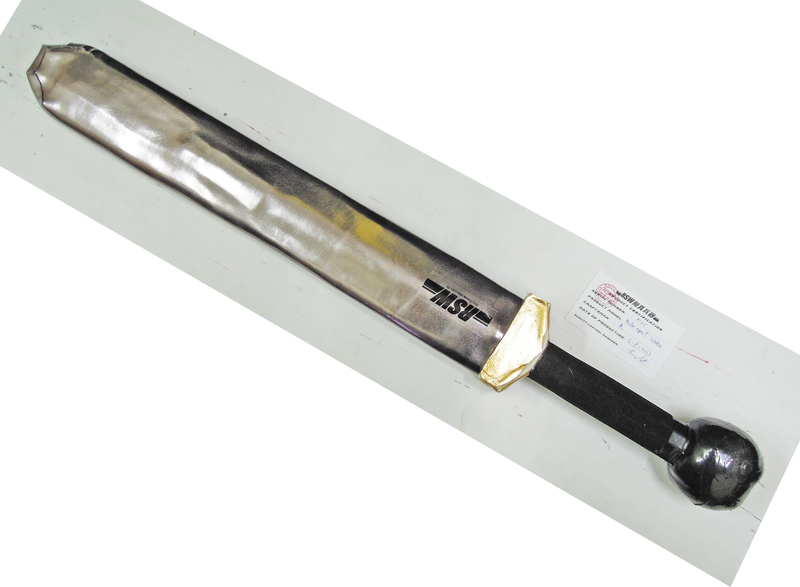 The blade is wrapped in transparent plastic so no lubrication is needed for bind and wind. The grip's cross section is improved for better comfort. 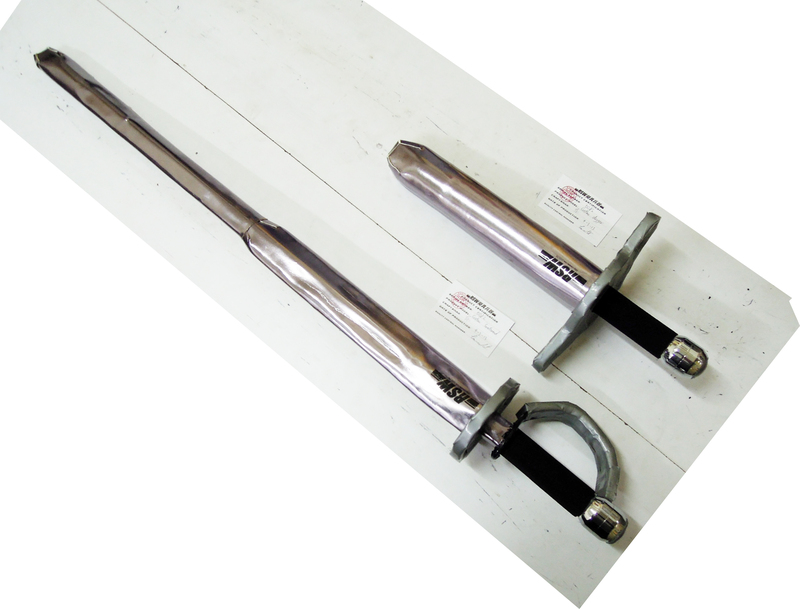 The 2 reinforcement aluminum bars run through the guard to the pommel, providing better resistance to core breakage. Added the custom made master grade thin blade (expert grade style) Gladius to the photo album. Added the custom made grosse messer to the photo album. We have completed the 2 Master Grade RSW with safety tips made for Longship Armoury. One is simulating Steerboard and the other Verrimus. 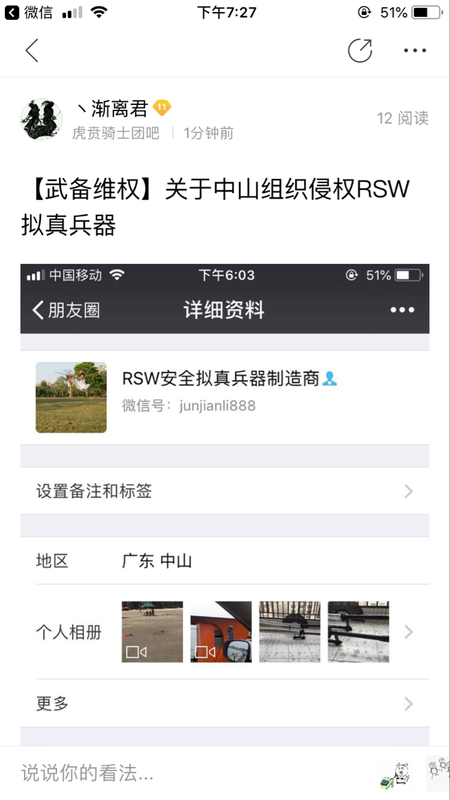 After having sparred intensively with Master Grade RSW for several hundreds rounds, we are very satisfied by the durability and safety they achieved. In order to make it the best of the bests, we will be implementing the flexible tip on every Master Grade RSW by default to further improve its durability and safety! The following video play-list showed the Master Grade Deva Slayer 2.0 in intensive freestyle fencing action since it's birth. There had been 224 rounds so far. 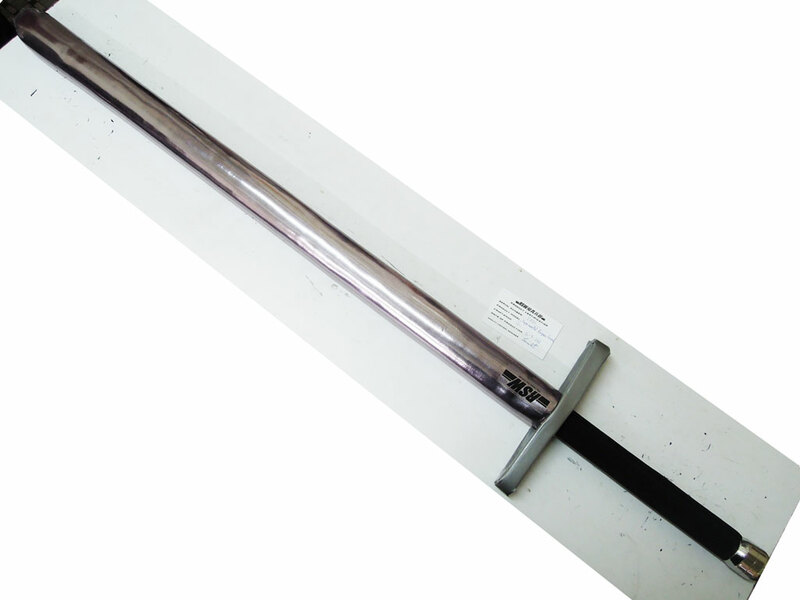 There was no repair done to the sword except taping one spot. Added the custom made meat cleavers to the photo album. Added the custom made Deva Slayer 2.0 to the photo album. 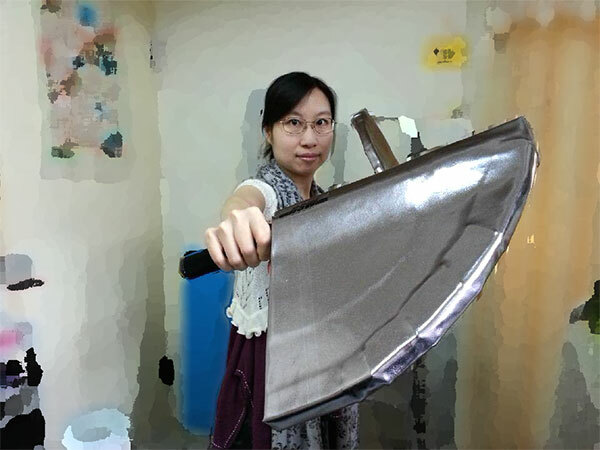 Added the custom made Chinese Dadao to the photo album. 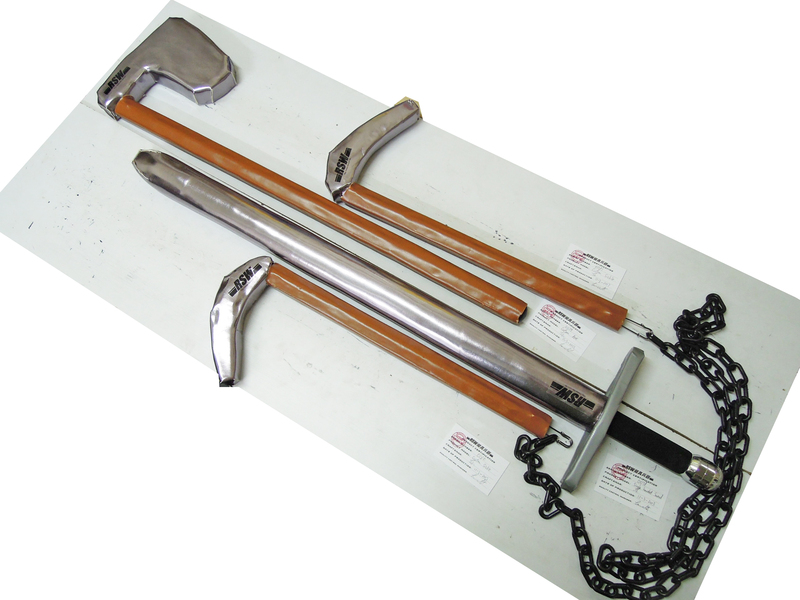 Added custom made master grade viking axe, master grade chained twin sickles and an European single handed sword, made for Singapore customers to the photo album. Added a custom made smallsword and dagger to the photo album. 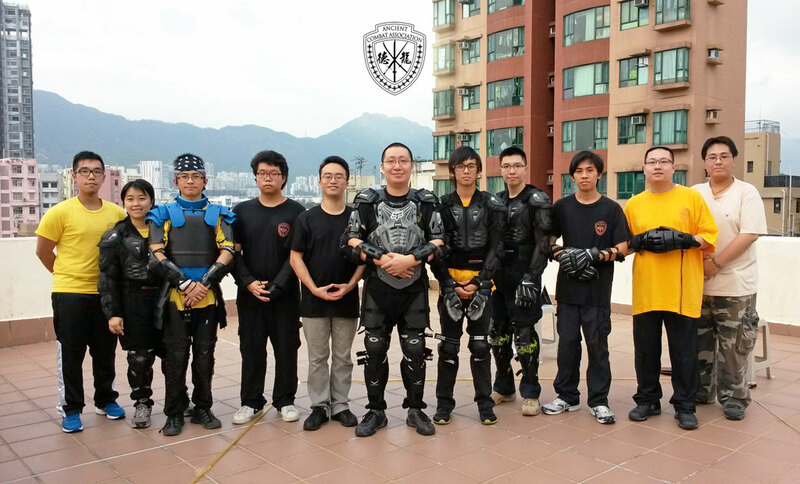 Added a report of the Ancient Combat Association, the 7th private tournament at the official blog (Chinese only). We have tested a new padding material extensively for months and finally ready to announce it. The new padding provides a much longer endurance for shock absorption ability than the original padding we use, diminishing the need for re-padding. 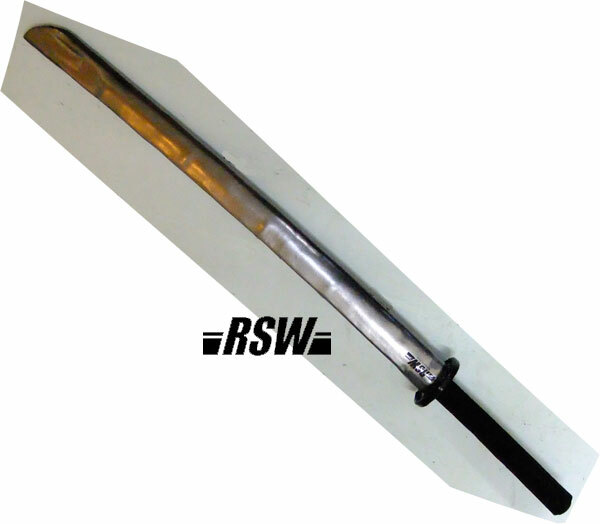 It is especially important for overseas customers where it is inconvenient to send the RSW back to us for re-padding. The new padding is heavier in weight, though, so it is not suitable for every model we make. If you are interested in purchasing Master grade products, just shoot us an email. How Neal Stephenson and I stopped bashing each other with sticks and learned real swordsmanship. 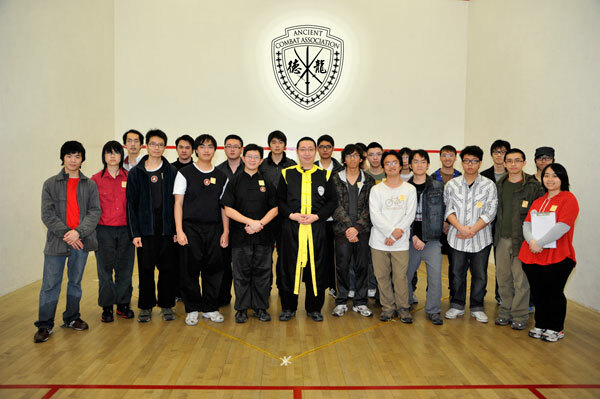 Added a report of the Ancient Combat Association, the 6th private tournament at the official blog (Chinese only). 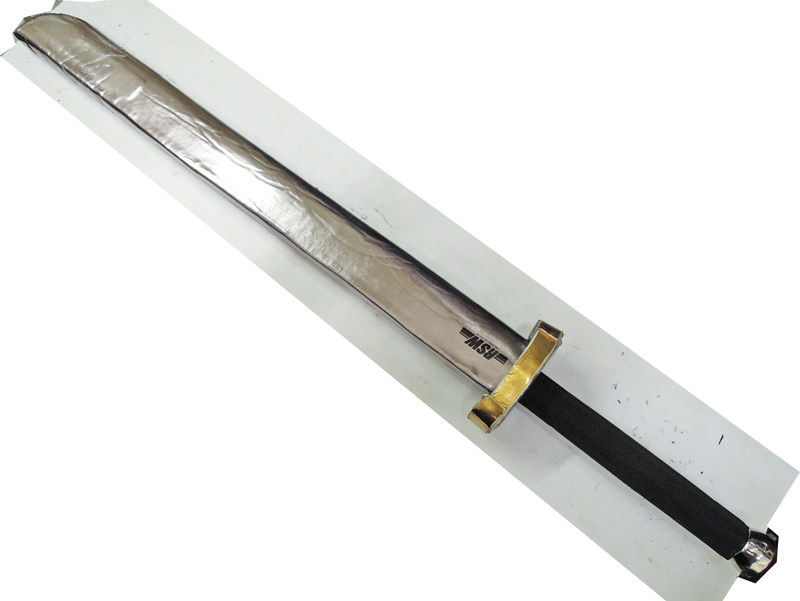 Added photos of a custom made two handed Chinese war Jian, weighting 3lbs 6oz. 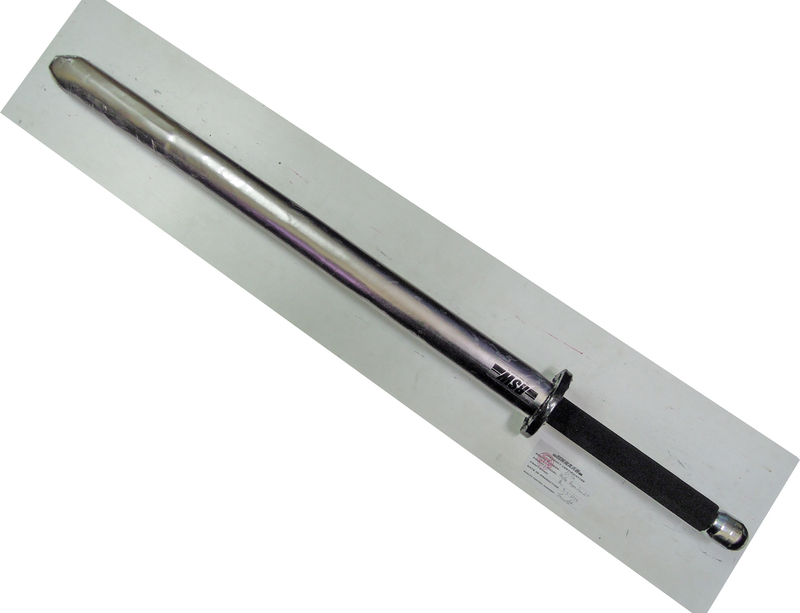 Added photos of a custom made two handed Chinese war Jian, weighting 4lbs 13oz. 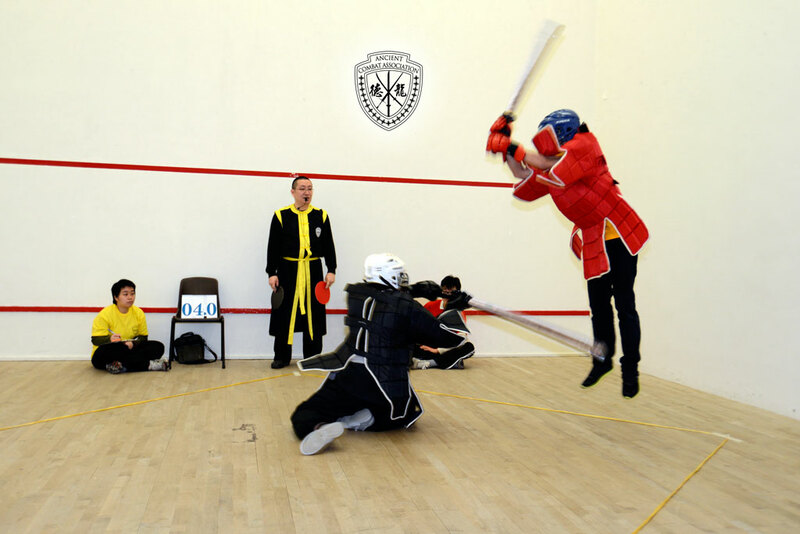 Added a report of the Ancient Combat Association, the 5th private tournament at our activities. 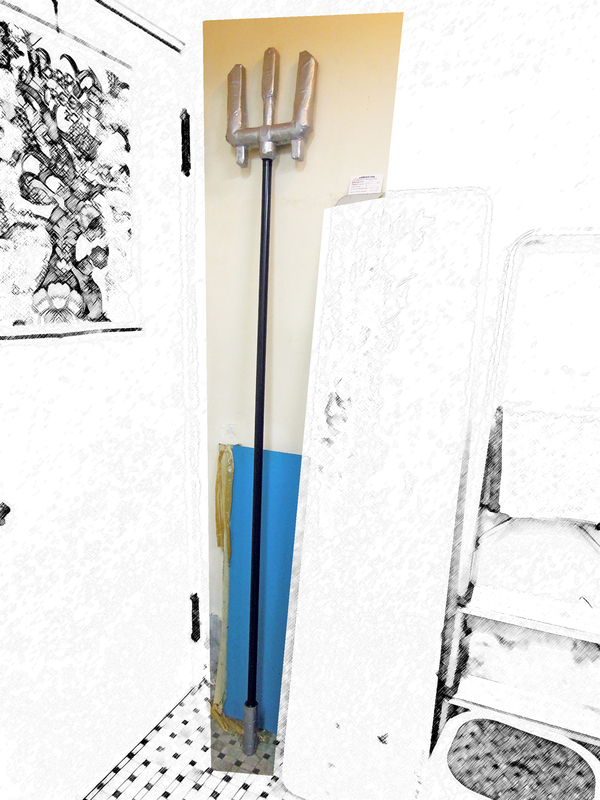 Added a photo of a custom made Russian Shasqua in the album. The hilt was made longer to accommodate a hand wearing sparring glove. 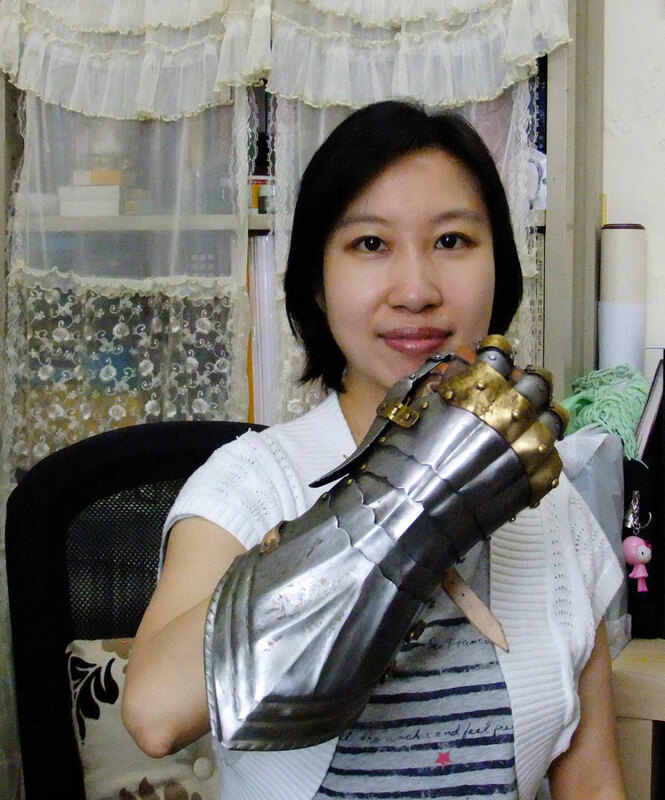 Some photos of Hanwei Russia Shasqua, a pair of steel gauntlets and Hanwei Bamboo Mat katana, which were ordered on behave of our customers. Ancient Combat Association has held the 4th private tourney. Click the image below for the details. 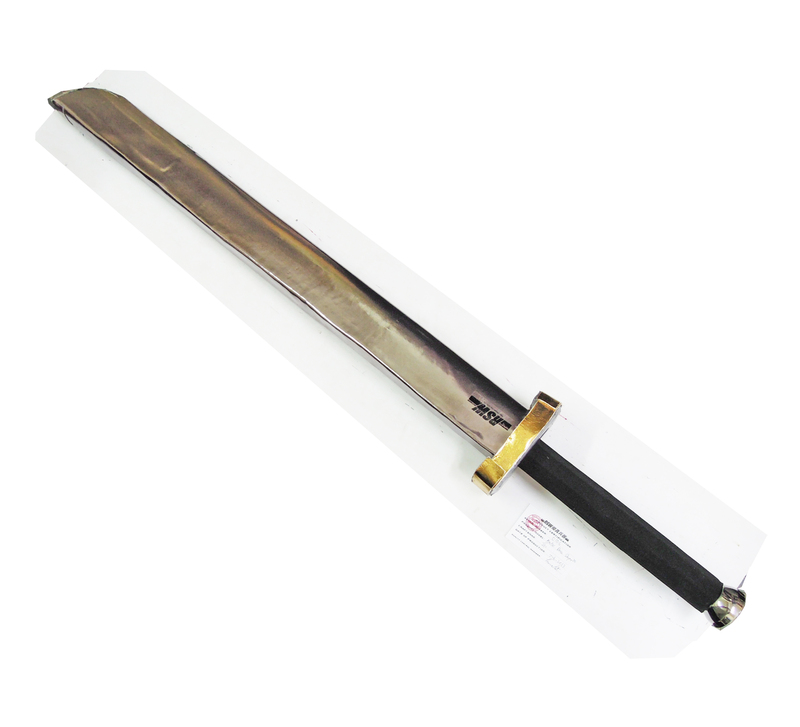 Shown below was a custom made cup-hilt cut and thrust sword, as one of the gifts for our dear customer who had endured a series of unfortunate events. 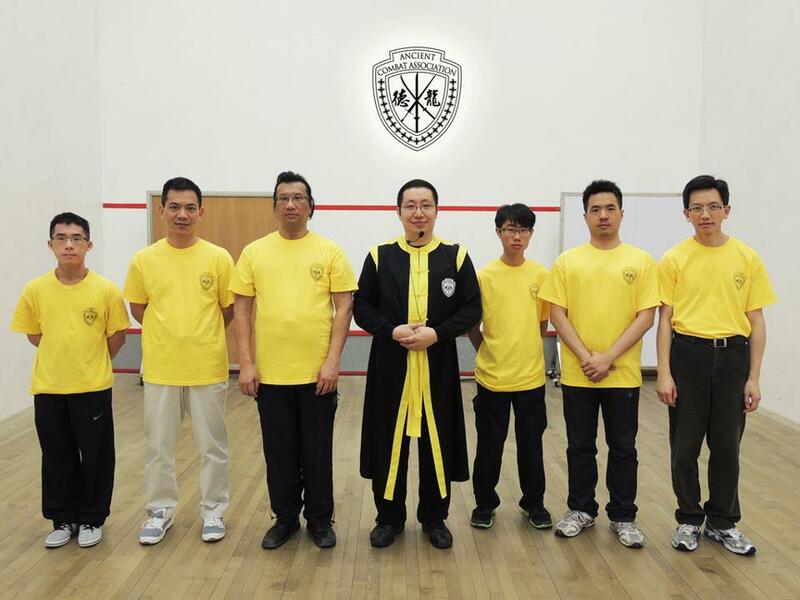 Ancient Combat Association has held the 3rd private tourney. Click the image below for the details. Happy new year! We have added a new product Chinese Miao Dao. Have you ever consider the possibility of fighting like the warriors in the past, where you battle your friends with the historical weapons, as if you were fighting for your life? There would be no rules restricting where and how fast you can hit. You'll do whatever you can to stay alive. This is made possible for the first time by Realistic Sparring Weapons! If you want to join the action and feel the thrill, head to Activities. Absolutely loving the new japanese swords, Lancelot! 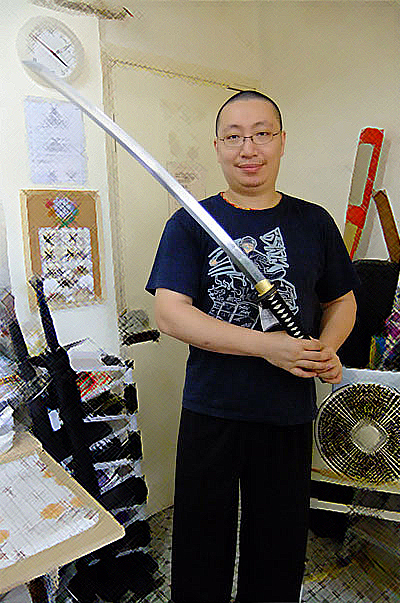 Your craftsmanship is excellent-- and the realistic quality of your swords for sparring and martial arts practice is in my opinion unmatched. I just hope we have no problems with the local law enforcement because they look kinda real from a distance! HAHA.... Be well! 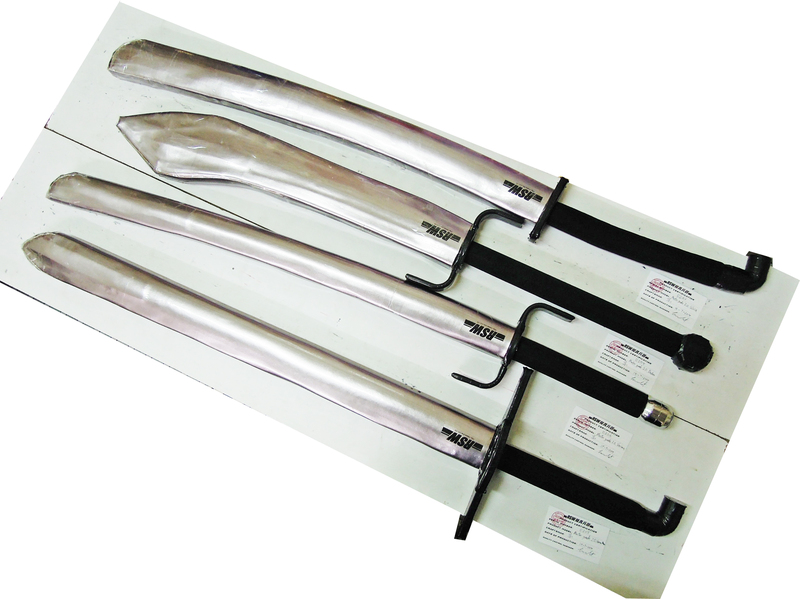 Lance, the sabres custom made to model after Hanwei Beile Dao with modification arrived today. I'm very impressed with them. These looks a lot more professional and better made than the standard Dao I last ordered. 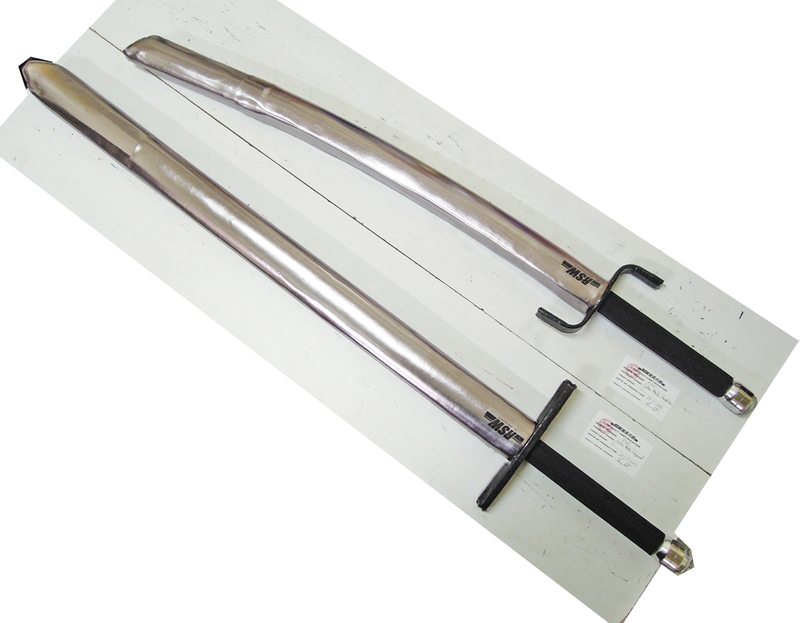 They feel light to hold but when you move them they feel more very substantial like a real sabre. Perfectly balanced and the handle is comfortable. 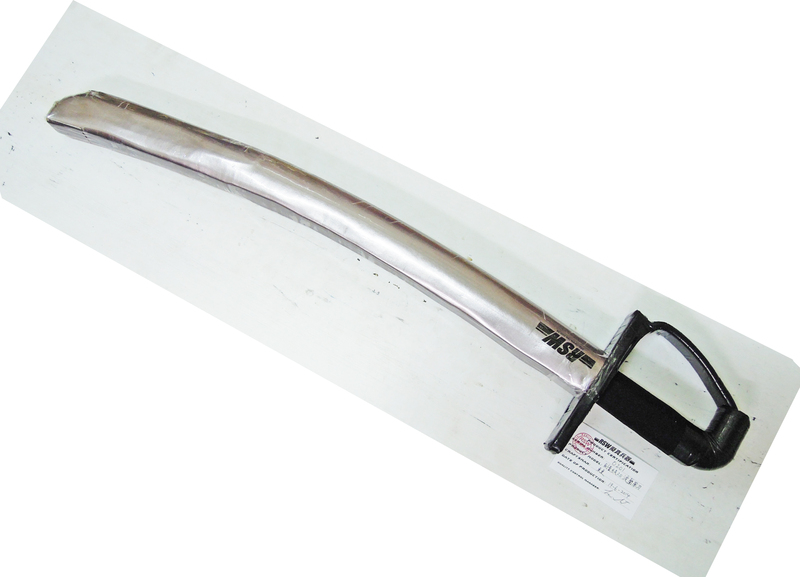 Stabbing techniques were improved with the straight profile blade. Well done and thank you. Grant and I have been playing with those Germans swords you've made for us, and I have to say that I am really pleased with their performance. We also slicked them up with baby oil as you suggested, and it worked great! A little too well, to be honest; I have picked up bad habits from the way my regular wooden swords grab each other. 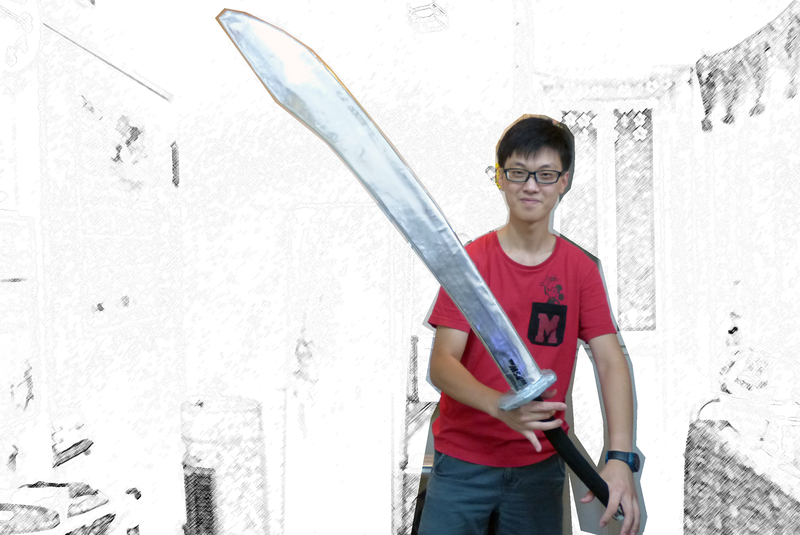 It was nice to be able to fight with an SLO (Sword Like Object) that has something like real balance. Well done. Everyone is thrilled with the swords. Last night really opened up their eyes to what's like to really fight. Big smiles and laughter all around. You could easily notice the shift in style after each fighter got hit - no pain, no restricted targets? Amazing!